Can AdNabu optimize bids for tablets? Yes. AdNabu can optimize bids even at the tablet level. 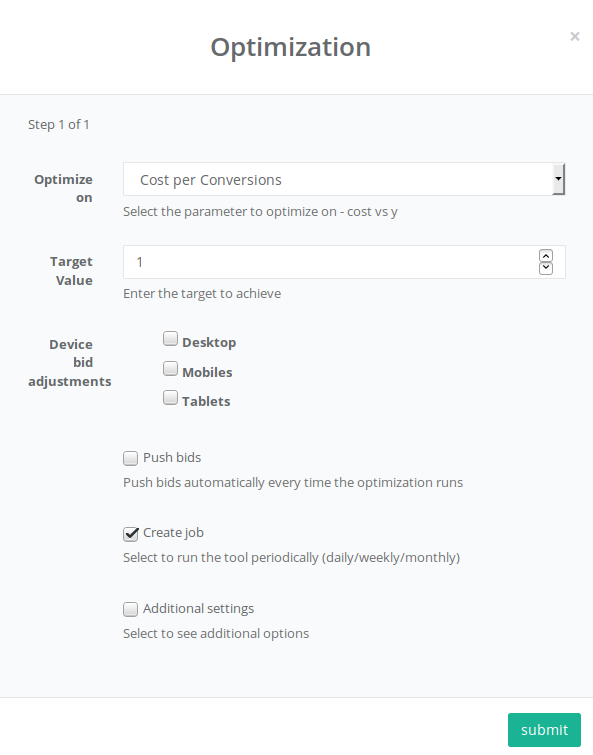 The device level bid adjustments can be selected in step 1 of bid optimization.